NASSCOM Gaming Forum has announced the first wave of speakers for its upcoming NASSCOM Game Developer Conference at Hyderabad International Convention Centre on November 8th to 10th. Nukebox Studios' CEO Amit Hardi will be keynoting the event, with a talk on the development process behind its game Food Truck Chef. The title scored $500,000 in revenue in its first 45 days of release back in August 2017. Owlchemy Labs' Alex Schwarz, EA's Lauren Freeman, and Keyword Studios' Mathieu Lachance will also be speaking at the conference. Facebook’s Ravi Belwal, King's Lawrence Valleti, and Yoozoo's Yuli Zhao round off the list of announced speakers. "We are excited to announce the first wave of speakers for NGDC 2017 - Amit Hardi’s Nukebox has earned success the hard way, his keynote talk on Food Truck Chef will provide our delegates with lessons learned and best practices they developed along the way that has lead to success," said Rajesh Rao, Chairman of the NASSCOM Gaming Forum. "With an incredible initial line-up, we look forward to releasing our full speaker schedule over the coming weeks." 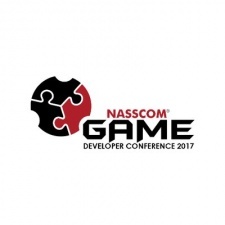 NASSCOM Game Developer Conference will also host a brand new Unite India conference alongside its main conference program. Unite India will also run at Hyderabad International Convention Centre on November 8th and 9th. How has the Indian mobile games market progressed in 2017?